Many African Americans moved to Milwaukee during and after World War II. By the 1960s, they comprised 15 percent of the city's population. Frustration over poverty, lack of jobs and segregation led to violence and riots. On July 30, 1967 riots broke out in Milwaukee after police tried to stop fights downtown. Mayor Henry Maier declared a state of emergency and asked the governor to call out the National Guard. Eight days later, four people were dead and more than 1,500 had been arrested. Despite the 1954 decision in Brown V. Board of Education of Topeka, Kansas, segregation remained widespread in Milwaukee. 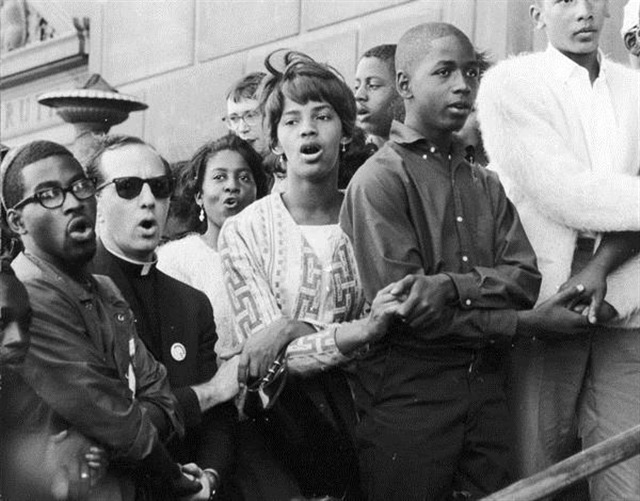 On August 28, 1963, the Congress of Racial Equality (CORE) in Milwaukee organized the first civil rights demonstration in the city to protest segregation. Blacker alderperson Vel Phillips introduced open housing legislation in March 1962. The council repeatedly voted it down, but Phillips continued submitting it. 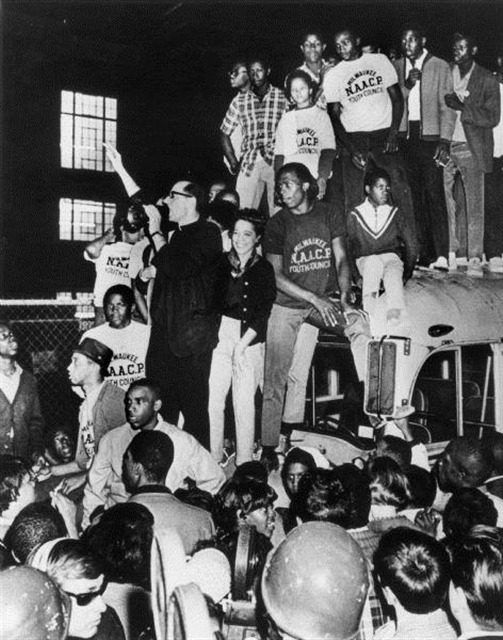 In August 1967, the NAACP Youth Council marched to Kosciuszko Park — located in a White neighborhood — to protest the Council's refusal to pass an open housing ordinance. The march drew the wrath of thousands of White residents, who shouted obscenities and threw rocks at the marchers. They were particularly incensed at the march's leader, Father James Groppi. 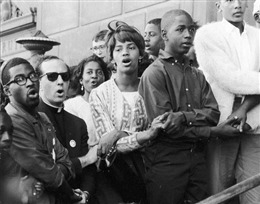 Groppi was a white Catholic priest, and an important figure in the Civil Rights movement in Milwaukee. Daily demonstrations continued throughout the winter of 1967 - 1968. The Federal Open Housing law passed in April of 1968. It prevented racial discrimination in 80 percent of the nation. On April 30th, The Milwaukee Common Council approved an even more stringent desegregation law. Milwaukee's law exempted only owner-occupied buildings with no more than two units. Segregation and discrimination were as common in Madison as Milwaukee. African Americans faced discrimination in employment and housing. Unlike Milwaukee, Madison did not have the industrial manufacturing sector to hire unskilled and semi-skilled workers. Like Milwaukee, poor housing and residential segregation led African Americans to campaign for open housing laws in Madison. Sources[The History of Wisconsin vol 5 and 6 (Madison: State Historical Society of Wisconsin); Kasparek, Jon, Bobbie Malone and Erica Schock. Wisconsin History Highlights: Delving into the Past (Madison: Wisconsin Historical Society Press, 2004); Ranney, Joseph A. "Looking Further Than the Skin: A History of Wisconsin Civil Rights Law" Wisconsin's Legal History, part XIII (Madison: State Bar of Wisconsin), viewed June 5, 2012.